Prospective residents must have satisfactorily completed an approved educational program at an accredited school of medicine. 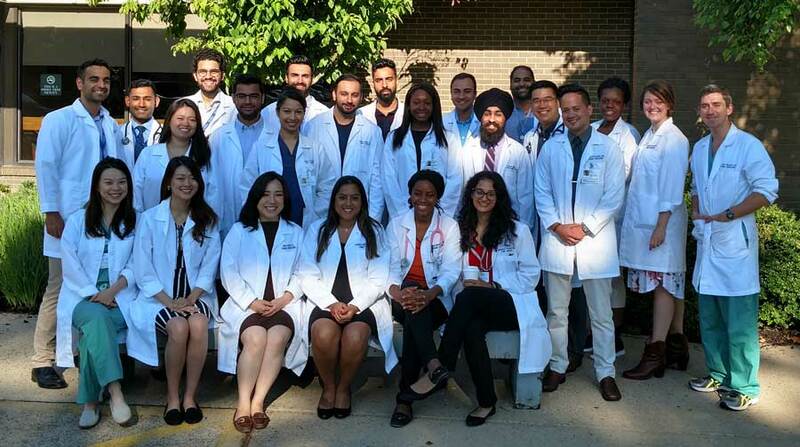 For PGY-I candidates, JFK Medical Center accepts applications via the Electronic Residency Application Service (ERAS) and participates in the National Resident Matching Program. All PGY-1 positions are offered through the NRMP. The deadline for applications to the Family Medicine Residency Program is December 31 of each year, but prospective residents are encouraged to apply as early as possible. All interviews are scheduled between October and January. Graduated from medical school within the past 3 years. Passed all USMLE Steps on the first or second attempt by the NRMP deadline for rank order lists (usually mid-February). Priority is given to applicants who passed all exams on the first attempt. International Medical graduates must fulfill all ECFMG requirements. At least one year of hands-on clinical experience in the United States as a medical student or resident in a primary care training program within the past two years. This must be a structured, supervised, and formally evaluated experience. Three letters of recommendation with at least 2 from physicians who supervised clinical experience in the United States. Must meet all requirements for a New Jersey residency training permit. College transcripts are required to document completion of New Jersey premedical requirements. College transcripts should be sent directly from the college or university. All prospective residents MUST meet New Jersey permit requirements, including any applicant from a non-LCME, non-AOA accredited medical school must complete didactic training (first 2 years of basic sciences) where the school is authorized to confer a medical degree. Personal interviews are required. Applicants who are selected for an interview will be contacted via email. Due to the large volume of applications, we are not able to provide status updates on applications. For any questions, please contact us via email.